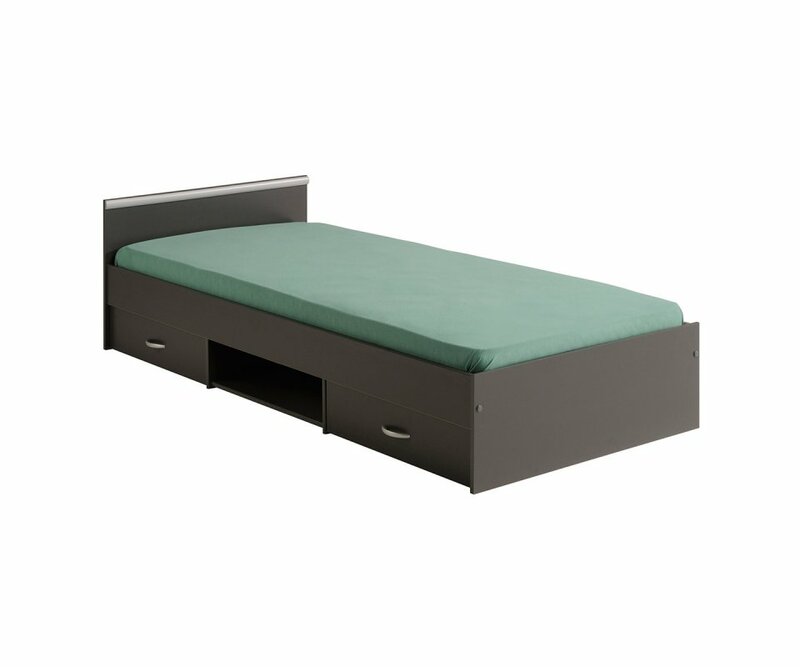 DURABLE CONSTRUCTION: Manufactured from top-grade particleboard core that won't bend,crack or warp, with superior hardware, drawer slides and rounded strong brushed nickel handles. PREMIUM VENEER FINISH: Light woodgrain veneer is made to resist scratches, chips, fading, water ring damage for long-lasting beauty for years! 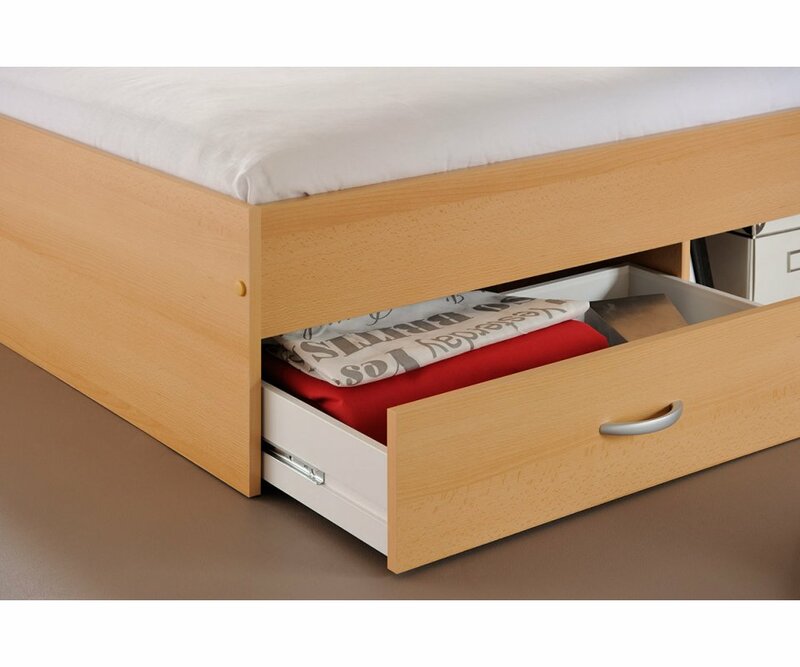 2 ROOMY DRAWERS: Two under-bed drawers provide storage for toys, games, clothing, linens, and other essential items! CENTRAL STORAGE SHELF: There’s room for books, bins or baskets, or even shoes in this shelf between the two under-bed drawers! 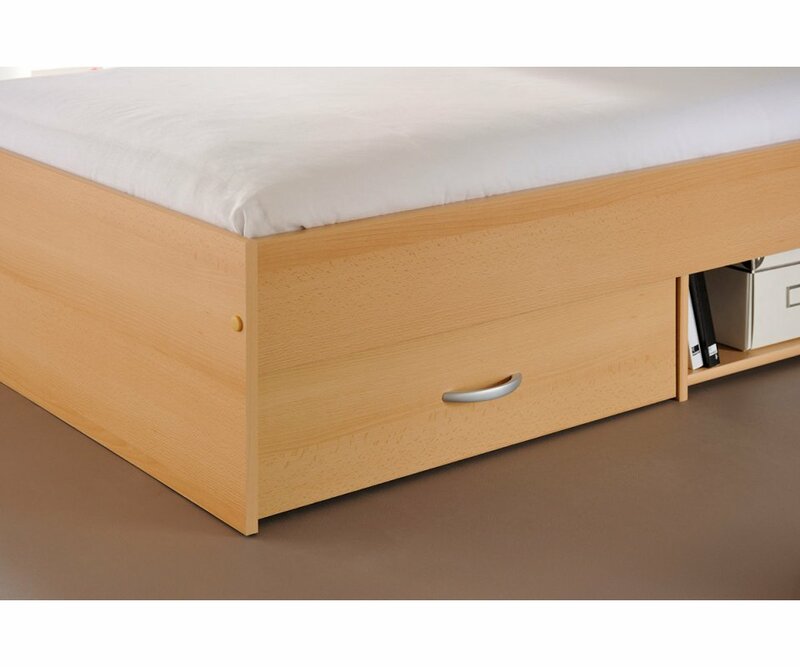 ECO-FRIENDLY PRODUCT: Parisot designs and manufactures using only wood products from Eco-managed forests, processes with low-solvent emissions, and diligently recycles! 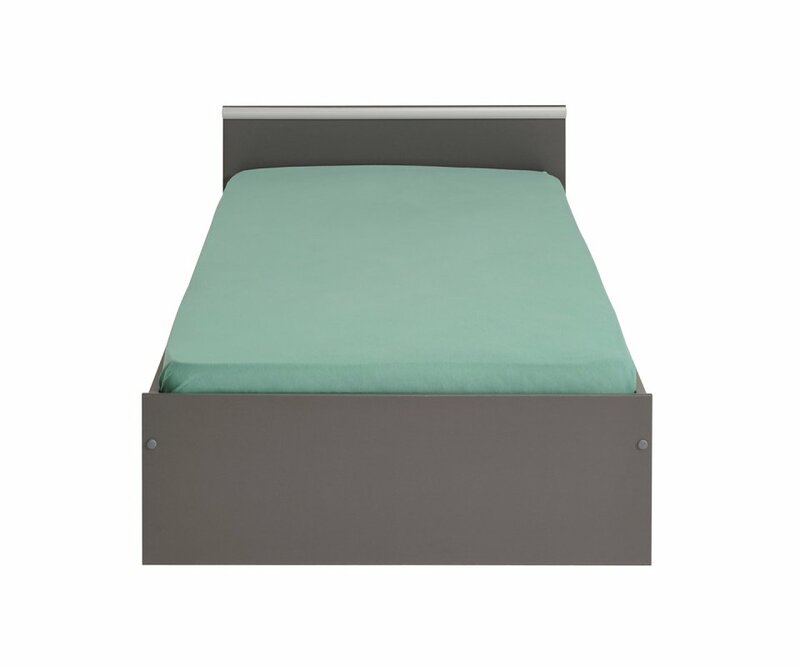 RoomSmart furniture is selected for its beauty, durability, versatility, and its smart storage solutions, and the Alpha 2-drawer twin storage panel bed is a great example of all these features! 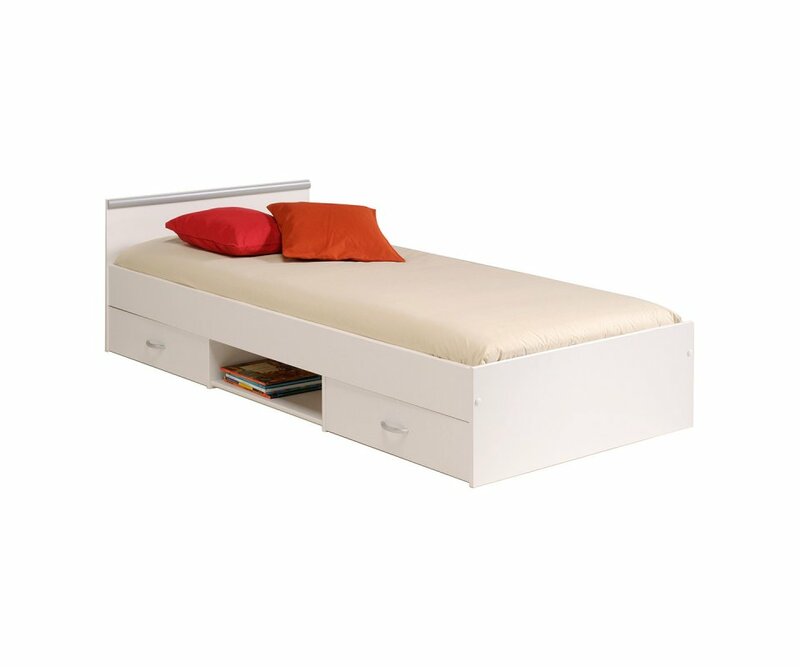 The twin-size bed is perfect for a child’s bedroom or small guest space! 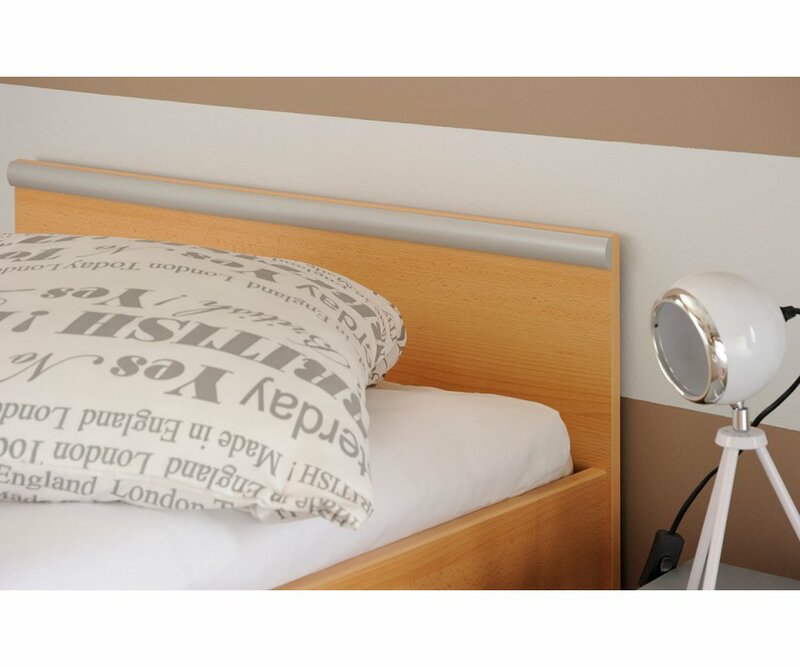 The panel sides allow you to add a mattress that will securely stay in place and make it easy for your child to keep the bed neatly tucked in! The framework is designed with active children in mind, made from durable top-grade particleboard core, with tough veneer finish that resists scratches, chips, warping, cracks, stains or water ring damage. 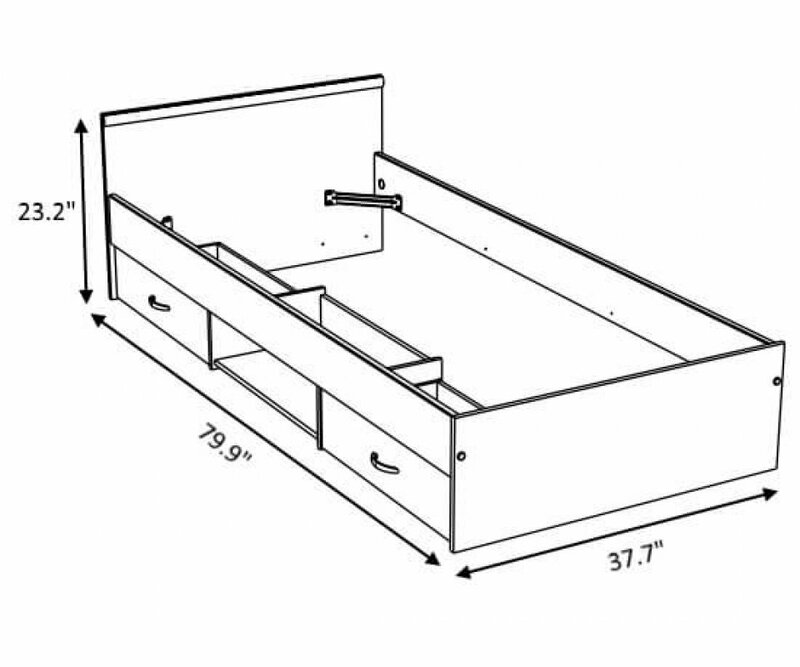 The drawer slides are heavy-duty, and the drawer handles are smooth and rounded for child safety and durability. 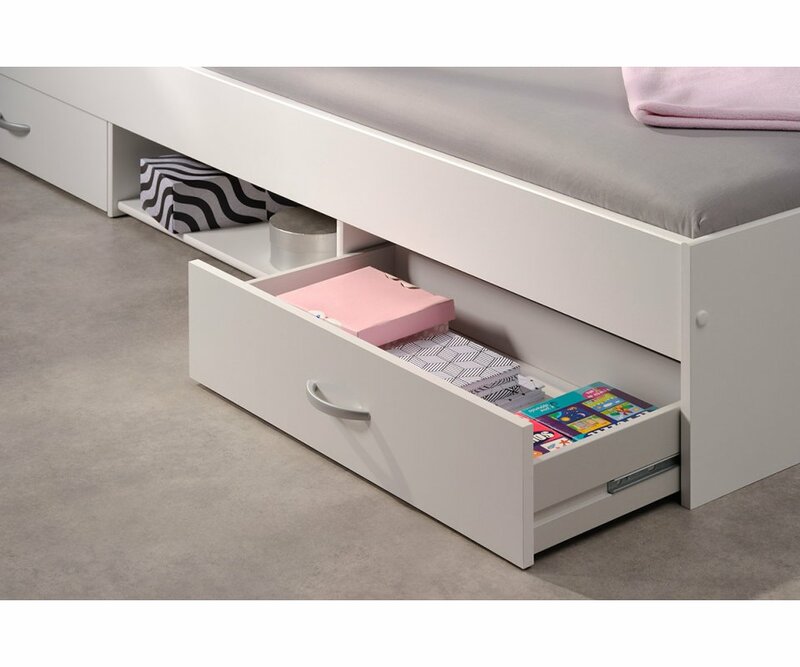 Under the bed are two roomy drawers to store clothing, toys, games, linens, and whatever you want to keep out of sight to help your child learn to organize and keep the bedroom neat! There’s even a central shelf between the two drawers for books, shoes, games, or bins! 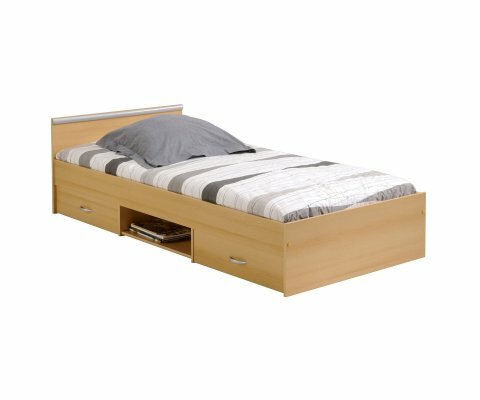 The Alpha bed is a neutral light woodgrain that works for either boys or girls, and can grow with your child from toddler through teen years! Enjoy years of beauty, durability and smart storage with RoomSmart’s Alpha Twin Bed!